This was always supposed to be the season of transition, building the squad was always the priority, and qualifying for the Champions League was always going to be the Holy Grail. Now that the season has come to end, may be its time for us to look back at the season and evaluate the “progress” that has actually been made under Brendan Rodgers. Once FSG decided to call it a time over King Kenny’s second stint at the hot seat, the club started looking for the next man to take over. FSG wanted a young manager to take over the helm, someone who trusts in youth and who believes in playing attractive football, and their touted first choice was Roberto Martinez, who seemed to have done a very good job at Wigan. However, they appointed Brendan Rodgers instead, the man who had promoted Swansea to the Premier League, and helped them to a respectable 11th place finish, playing some good possession football along the way. He brought in his own backroom staff as most managers do, which meant the departure of Steve Clarke. The best thing about the change in the backroom staff has probably been the increase in fitness levels of two very important players- Steven Gerrard and Daniel Agger. Agger’s injury problems have been ever present since the time he joined Liverpool, resulting the former Brondby man in making just 155 Premier League appearances in the last six and half years at Anfield. Yet, this season he appeared in 35 Premier League games. The Liverpool skipper on the other hand had been blighted by niggling injuries in the past two seasons, making less than 30 appearances in all competitions in each of those two seasons. However, this season Captain Fantastic had been back to his best, making 35 Premier League appearances before a shoulder injury forced him to end his season early. The primary task given to Brendan Rodgers in the transfer market was to reduce the wage bill as well as the average age of the squad. Consequently, Fabio Aurelio was released, Craig Bellamy and Maxi Rodriguez were given free transfers, and Alberto Aquilani and Charlie Adam were sold in cut-price deals, while Andy Carroll was shipped out on loan to West Ham. Stewart Downing and Jordan Henderson, big money buys under Dalglish, were rumoured to be loaned out or sold in part-exchange deals, which however did not materialise. The players brought in to replace them Fabio Borini and Joe Allen, both having previously played under Rodgers, for a combined outlay of £25 million and Nuri Sahin on loan from Real Madrid. Allen settled in quickly in a deeper midfield role in the absence of the injured Lucas and put in some good performances. The return of Lucas meant that Allen had to shift to a more advanced role, something which he failed to do very successfully, ultimately losing his place to a rejuvenated Henderson. Borini, on the other, hand failed to find the back of the net, barring his goal in the second leg of the third qualifying round of the Europa League against Gomel. He was then out of the action for three months with a broken foot, leaving Liverpool with Luis Suarez as the only recognised striker in the squad. Liverpool had a dismal start to the Premier League season with an opening day loss at West Brom. They failed to win any of their first five games and were languishing at 18th place in the table before they managed to win at Norwich, with Suarez scoring a hat trick. In their next 10 games, Liverpool lost just once, against Tottenham, but won just 4 of them. Their main undoing was that they failed to kill off games despite having a lion’s share of the possession and numerous attempts on goal. Even in the Europa League, they failed to kill off games, and had to rely on a final day victory over Udinese to confirm qualification to the knockout stages. At times, Jonjo Shelvey played as a striker, and even scored a brace against BSC Young Boys. However, their problems of not being able to finish the chances they created continued to haunt them, forcing things to be stretched to game week six to ensure qualification. 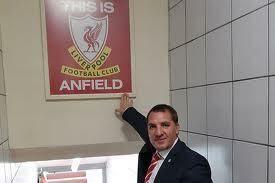 Finally the winter transfer window came, and it seemed that Liverpool had been readying for it for the past 4 months. Having failed to land a striker on the deadline day of the summer window, Liverpool spent £20 million to bring in Daniel Sturridge from Chelsea and Philippe Coutinho from Inter Milan. They decided to terminate Nuri Sahin’s loan agreement after he failed to make a major impact as was expected from the former Borussia Dortmund skipper. Joe Cole was also given a free transfer to West Ham in an effort to further reduce the wage bill. At the start of the season, Jordan Henderson, Stewart Downing and Jose Enrique were not deemed to be good enough to warrant a starting place in the team. Youngsters Andre Wisdom, Raheem Sterling and Suso were entrusted to do the job. Given opportunities, they did not fail to impress one and all. However, as the season went on, Enrique, Henderson and Downing played themselves into the team. All three of them have become integral members of the team, either in a starting capacity or as a sub. A lot was expected of Luis Suarez this season- he had been brilliant the season before, but had somehow managed to miss gilt-edged chances resulting in only 17 goals in all competitions last term. However, the lack of any striking option other than him meant that he had to carry the goal scoring burden himself, and score him did. The Uruguayan seemed to have found the finishing which was missing the season before and kept on scoring goals in all competitions. He scored 30 goals in all competitions to keep Liverpool in the hunt for the elusive 4th place finish and the coveted Champions League spot. The winter arrivals of Sturridge and Coutinho helped address the striker shortage that had been plaguing Liverpool all season. They hit the ground running- Sturridge has scored 11 goals and provided 4 assists in 16 appearances while Coutinho has scored 3 goals and provided 7 assists in 13 appearances. This has reduced the burden on Suarez to a large extent, and has allowed Liverpool to find alternate route to goals in the absence of Suarez due to suspension. 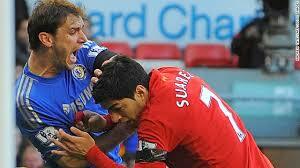 Perhaps Luis Suarez and controversy are made for each other; when one is there, the other never seems far away. Last season it was the racism row with Patrick Evra, this season it was multiple- admitting to diving in order to win a penalty at Stoke, the handball at Mansfield Town and the biting incident on Branislav Ivanovic. The diving incident which happened at Stoke was blown out of the water when Suarez, in an interview admitted that he had dived to win the penalty, leading to everyone calling him a cheat. Post the inadvertent handball at Mansfield, he was labelled a cheat, despite the fact that the referee had seen the incident and had not blown for a handball. Just when he seemed to have put all the bad blood behind him, and was playing superbly, scoring goals to singlehandedly win Liverpool matches, and was in the running for the PFA Player of the Year, he bit Ivanovic during a game. The game finished with a last gasp equalizer by Suarez, but by then, everything else had taken a back seat- Suarez the cannibal was back, evoking memories of a similar incident during his time at Ajax. His inevitable 10 match ban ruled him out till October 2013, meaning that Liverpool will have to begin next season without his goal scoring prowess at their disposal. 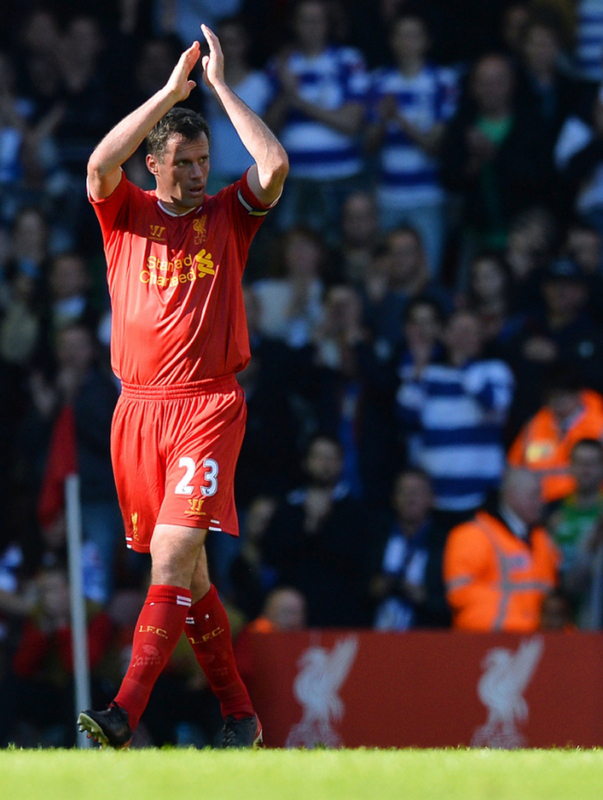 The most emotional part of the season was the last match of Jamie Carragher’s career at Anfield against Queen’s Park Rangers. It brought down the curtains on a long and illustrious career which saw him make 736 appearances for his boyhood club. He had started the season on the bench, as a backup to the first choice centre backs Skrtel and Agger. However, a loss of form saw Skrtel lose out his starting place to Carragher, and he has shown that even at the dusk of his career, he still has the ability to perform at the highest level. He became the mainstay of the backline once again, allowing him to announce his retirement from the game when he was still first choice. This season has not been the best of seasons, with Liverpool failing to progress beyond the 4th round in both the FA Cup as well as the League Cup, and the round of 32 in the Europa League. The finished 7th in the Premier League, meaning that there will be no European football at Anfield next season. However, the season has given some positive indications. The team took some time to gel under Brendan Rodgers, but now is playing some very good eye-catching football. The arrival of Sturridge has relieved the goal scoring burden on Suarez, and the form shown by Coutinho has meant that Liverpool now have a creative force in the final third other than Suarez who can create something out of nothing. The form of Enrique, Henderson and Downing has improved over the course of the season, and Rodgers’ tough love seemed to have brought out the best from them. 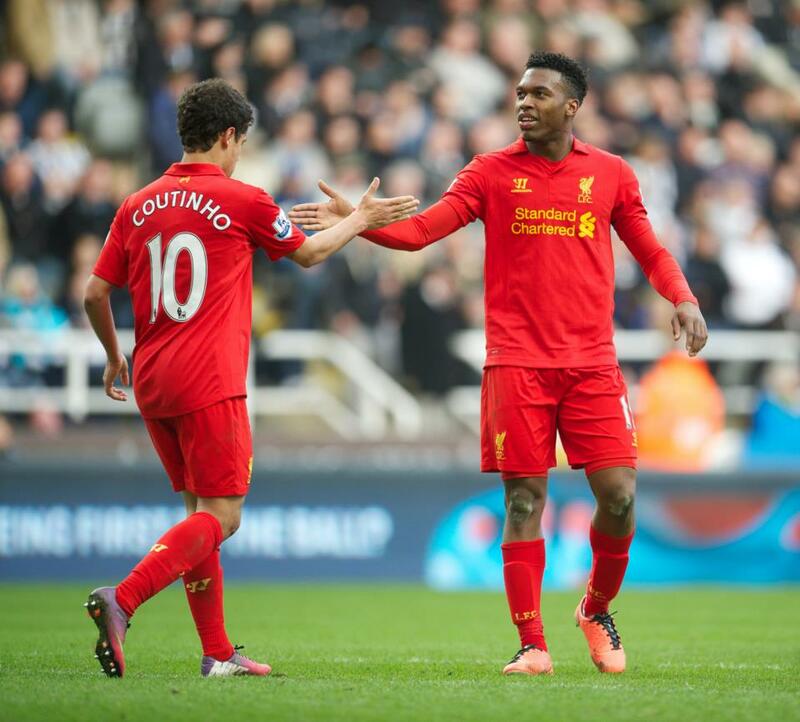 He has given ample opportunity to youngsters Sterling, Wisdom and Suso to impress, and impressed they have. Liverpool seems to have a good bunch of youngsters ready to take up the challenge of playing in the first team. With the retirement of Carragher, there is a hole in the defence that needs to be plugged, along with reinforcements for other positions. If the winter transfer window is anything to go by, Rodgers should be able to add to the depth and quality of the squad without having to pay against the odds. There is quality in the team; and a little depth and some quality additions, coupled with greater consistency throughout the season will help Liverpool push for the fourth spot next season.